The Zambian government has finally allowed an Australian mining giant to start mining in the lower Zambezi despite sharp rejection from its own experts at Zambia Environmental Management Agency, ZAWA, local communities and UNESCO. The Lower Zambezi National Park is about to be declared a World Heritage Site by the United Nations Educational, Scientific and Cultural Organization. With an open pit mine in the offing, the animals in that area will be wiped out. But politicians don’t care as long as their pockets have been filled. But a few years ago, Zambezi Resources applied to start mining in the Game Park. The MMD government refused after considering the massive damage an open pit mine would cause to the eco system. When the PF came in power, Zambezi Resources renewed its application. The Zambia Environmental Management Agency conducted environment assessment. They rejected the application by the Australian miner again. Zambezi Resources, the Australian mining giant appealed to the PF government through the minister of Lands, now Harry Kalaba. The government has just overturned the decision of ZEMA; ignored concerns and recommendations of the UN and local communities by allowing Zambezi Resources to operate a massive open pit mine in the game park. Zambezi Resources Ltd announced that Lands, Natural Resources and Environmental Protection Minister Larry Kalaba has formally overturned the Zambia Environmental Management Agency’s rejection of its Environmental Impact Study and given the green light for Zambezi Resources Ltd to proceed to develop its 100% owned Kangaluwi Copper Project in Zambia. Zambezi Resources Chairman, Mr David Vilensky said company welcomes the Zambian Government’s decision to allow its Kangaluwi Copper Project in the Lower Zambezi National Park to proceed to development. Mr Vilensky said securing formal approval of the EIS represents a major milestone for the Company as it can now take steps and proceed to take the Kangaluwi Copper Project to the development stage and become an emerging producer. He complimented the Zambian Government in allowing the Kangaluwi Copper Project to proceed within the National Park. According to Zambezi Resources, the mine will create jobs for local people. The Lower Zambezi National Park was due to be declared a World Heritage Site by UNESCO as a result of the Zambian Government’s agreement not to allow mining there..
On 18 October 2008, Chieftainess Chiawa (Chiawa/Kafue) Chiefs Chipepo, Simamba, Sinadambwe – all of Siavonga district, and Chiefs Mupuka and Mburuma of Luangwa had met and issued a statement against mining for 17 chiefdoms of the whole Zambezi system. 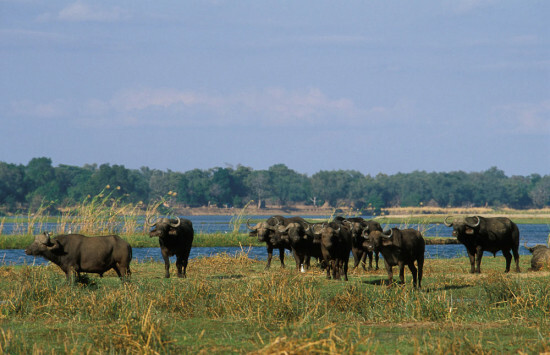 The Zambia Wildlife Authority is already on record as saying no mining would be allowed in national parks ( on 5 November 2008 the DG of ZAWA, Lewis Saiwana, wrote to Andy Fleming of Zambezi Resources stating that “National Parks and Game Management Areas should not be subjected to mining activities…”) .